On Tuesday 30th my friends and I were enjoying our usual weekly pubs travelling, where I don't do the drink but do the driving. At the end a long unseen chap turned up, having now acquired a low-paid occasional hours job. But his first words to me were, "I bet you're thinking of the Single Market." We have had discussions before. Then he said, "Jacob Rees-Mogg, he's the man." Previously our friend has been UKIP through and through. The fact that none of these parties and politicians represent his working interests matter not a jot: he wants out of the European Union and at any cost. I did not argue with him; what I did was turn what he said for the benefit of my friends. "There you are, do not underestimate the likelihood of Jacob Rees-Mogg becoming Prime Minister, with the whole Downton Abbey fantasy about who can and should rule." My friends have previously said that this is so far fetched and impossible, that Jacob Rees-Mogg is a joke from the past. When an existing Prime Minister, on the aeroplane to China, has to tell journalists that she is "not a quitter", and that there is "a long term job to do", and then later in China introduces one of her failed Tory speech stock phrases "the British Dream", you know that she is in trouble. She is falling victim to the predicted (at least by me) later to happen split in the Conservative Party. If the referendum had resulted in 'Remain', the Tory Party would have divided there and then, and Labour stayed united ahead of possible political change. However, with the 'Leave' vote, the Tories held together and Labour challenged its leader and had to patch itself back together. There was then Theresa May's failed General Election strategy, but still left her's as the largest party and in government. However, things are now changing. After the Remain faction (favouring the Single Market and Customs Union membership) showed its strength, but who would leave May in charge as she promised a close relationship with Europe, her tacking the ship in their direction and failure to enact other polices has led to the 'Leave' faction to start flexing its muscles. Anna Soubrey MP ('Remain') said that there are about thirty-five of them, whereas, likely, there are thirty-five strong remainers. It only took eleven of them to successfully rebel previously on avoiding a fixed end date for leaving the European Union! There are definitely more than thirty-five fanatical leavers in the Tory Party and so far they have been happy that the end was coming, and that Theresa May was some kind of puppet to do it, via her split Cabinet. But now they have focussed on the implementation period of twenty-one months, when we take all EU laws but have formally left, dubbed the 'Vassal State' period, and attacked the Chancellor of the Exchequer for his wish to see as little change as possible after we have left and after the transition period. Firstly, it is because of the EU-friendly talk, once seen as aiding negotiations towards the end, now seen as coming with substance: just what is this uniquely close deal with Europe meant to be? So far the existers have knows that despite all the government's flannel about a unique deal, the necessary trade deal is limited. But what if the end result is close to the Single Market and Customs Union? This would be BRINO - a Brexit In Name Only result, which is the supposed Vassal State continued. Secondly, no Tory wants a General Election, it is thought. But, it seems, Labour support has flatlined. The magic of Jeremy Corbyn seems limited. One more heave won't work. He's a Marmite man, which means that even if many come to love consuming him, just as many find him distasteful. He hits a wall of support. In the polls the Tories only match Labour, when the Tories are chaotic and visionless. Labour should be streets ahead. Thirdly, as a matter of timing, if a leadership contest and even a General Election delays the government further in coming to a position of what is wanted after leaving the European Union, and upsets negotiations, this does not matter to the more extreme Leavers. Why not? Because they want to leave without a deal. World Trade Organisation basic rules and no more payments to the EU suits them fine. It matters not if things go Kamikaze, because wrecking will do kust nicely. The same was seen with our occasional acquaintance in the final pub. It doesn't matter about the economy, or society, or culture, or security, or policing, or anything: it's a visceral get out and fast. For them, the EU is so mythicised into a hate institution that it is out at any cost. This has built up for years. Someone like David Davis can point out that there is no Vassal State because a law change initiated inside the twenty-one month period by the EU could only come into place after that period of time. That's how long things take to change. The extreme exiters don't care about such arguments. 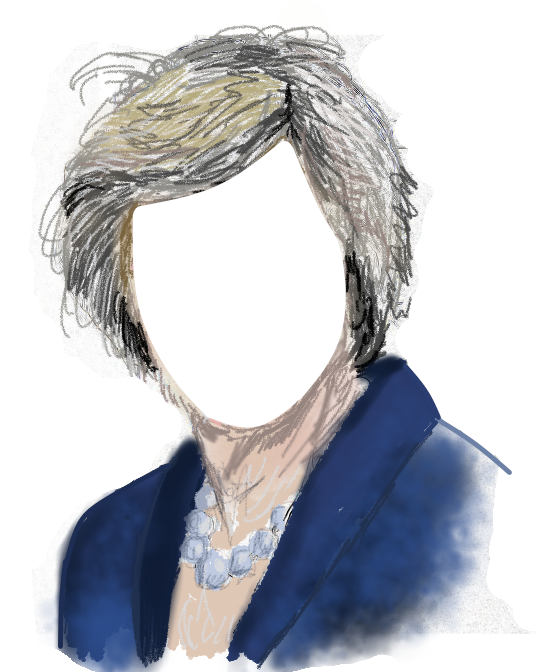 The upshot is that as Theresa May is incapable of changing her Cabinet, with Boris Johnson going DIY and Philip Hammond worried about economic cliff edges, and as other policy needs are lost, she can thus be challenged from the hard right. The time is now coming for them to act. However, and here is the rub. If they do challenge, remove her, and replace her with someone more like them, the likes of Anna Soubrey and maybe thirty five and more, would refuse the Tory whip - and that is the split. They would enact what seems to be the case: that the present House of Commons (as is the House of Lords) has a balance in favour of something close to if not itself in the Single Market and Customs Union. By realigning, the future visioned by the Chancellor becomes more likely. And thus the Tory Party splits: and splits because the options on the table at the European Union are very limited. As I discussed in the previous blog entry, trade deals aren't worth much at all. Furthermore, the EU cannot give us very good terms, because others without regulatory alignment will have the right to the same 'unique, close' deal we would get. This cannot happen: it allows others to foce change in the EU institutions. So a deal is limited to Canada, or it is going to be membership of the Single Market and Customs Union by the EEA model of taking the rules and having no political input except by occasional informal invitation. The EU and its Court of Justice keeps a grip on its Single Market and Customs Union. Nothing else is on offer. It is why the Labour Party has to stop being vague. Corbyn says OK to the SM and CU if we have an input, thus it cannot be as the SM and CU exists. But that is all that exists! Let's go back to how the choice has always been. If we are to be in the Single Market and Customs Union without being in the Council of Ministers, providing Commissioners and Members of the European Parliament, we indeed do lose soverignty. But we do anyway, because the EU is a fact on the ground. Even outside, a trade deal and regulatory alignments mean keeping to EU rules. Meanwhile, Germany - in the EU - has expanded its trade with China far greater than we have: we do not need to leave to do this. Thus there is a simple solution. Partially like Lord Michael Heseltine has said on BBC Parliament: we should stop the negotiations now, say we are sorry, and he says have a referendum. I think General Elections trump referenda. All we need is politicians to realise this has all been an impossible and an ill-informed diversion from normal politics, for Tory Party reasons, and stop it, and go to the country on that basis. Perhaps, to do this, the Tory Party needs to split first. It probably will. Day after day the Tory Party and its Cabinet get into deeper contraditions from which these institutions cannot escape. The contraditions are made worse by a Fixed Term Parliament Act that allows MPs to grasp the initiative and start to assert the general will of Parliament - or they must go to the country for a real 'Brexit General Election'. This is also where the Liberal Democrats must assert their own leadership; prior to this they must negotiate across the parties with 'Remain' and staying in MPs as candidates. If the extreme Leavers want us to leave, then go to the country. Have a party like UKIP, or a replacement, or a right wing Tory offshoot, or all of these, and win a General Election. Then carry out the policy. Otherwise the logic is clear: a twenty-one month transition/ implementation period does not matter: but being in the Single Market and Customs Union afterwards does matter. For that, we should stay in, and share sovereignty (and so much else), and make decisions with our neighbours. The European Union is not going to go away, so we may as well be in it. There is a lot of nonsense 'out there' that assumes that the UK can replicate or nearly replicated the access it has to the European Union wide market once it leaves via a bespoke Free Trade Agreement (FTA). First of all, the agreement with Canada, for which we could be "plus plus plus" is not all it is set out to be. It is basically an improvement on World Trade Organisation rules. However, this agreement has an important provision in it, that does affect the UK directly. It is called Most Favoured Nation (MFN) which means, in the context of this agreement, that anything better offered to any other nation in a free trade agreement must also be offered to Canada. So if the British deal was much better, the Canadian deal would have to improve. So what is to stop that? It is all to do with Regulatory Alignments, that is standards and rules that exist in trading. In other words, the European Union or Canada cannot be sure that the other party has and will maintain Regulatory Alignment in any particular economic sector. Furthermore, the EU is reluctant to enter into Regulatory Alignment agreements outside the EU Single Market, because it means the EU loses regulatory control over its own single market. When the United Kingdom leaves the European Union, and seeks to 'go it alone' (unlike Norway), it must have a Free Trade Agreement instead. The UK starts with Regulatory Alignment, but it would be free to diverge. So a Free Trade Agreement would have to go into immense detail sector by sector to fix Regulatory Alignments, and would mean binding the UK to EU regulations as the EU would demand its autonomy over the Single Market where all these sectors operate. Otherwise a decision to diverge would mean a decision to lose access on anything other than World Trade Organisation rules or yet another agreement, that would have to be less than in the Single Market. And in any case, again, to give the UK something on a Free Trade Agreement would be to offer it to Canada on the MFN basis, and yet Canada has divergent and potentially divergent rules. First of all, then, a FTA is going to be immensely complex. It cannot possibly be negotiated by Autumn 2018, by March 2019 (the date of leaving) or correctly now the end-date, after an eighteen month or so transition period (end of 2020). That there could be divergences built in immediately increases trading costs; that we move to an FTA means being treated as divergences likely and thus being an outsider. The UK exports eight times as much in goods to the EU than Canada; the service sector (Finance especially) is hugely greater. All this leads to a simple conclusion: there is no "jobs first" deal with the EU available that does not place us in the Single Market and Customs Union as regulated by the European Union's European Court of Justice. Sir Keir Starmer ought to tell his boss Jeremy Corbyn why we cannot come out of these two institutions, and develop a House of Commons and House of Lords consensus to stay in - at the very least. It follows that in order to affect policy across the Single Market and Customs Union, we should stay inside the European Union. We then are part of this confederation through the initiating and regulating Commission, through decisions by the Council of Ministers, and checked by the European Parliament. The EU is the reality on the ground, and politicians should stop fantasising.